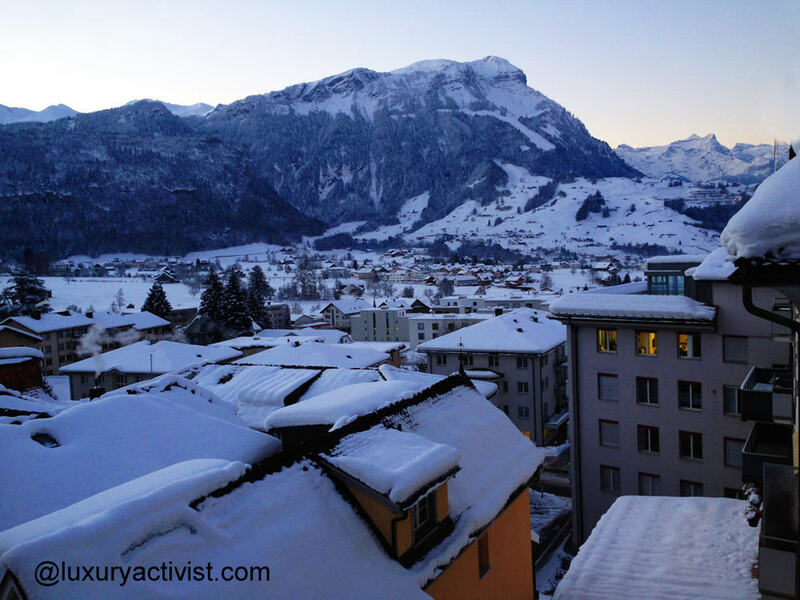 Switzerland is a hidden treasure to be discovered in the heart of Europe. And inside this magnificent treasure, the Wysses Rössli Hotel is one of the key jewels. 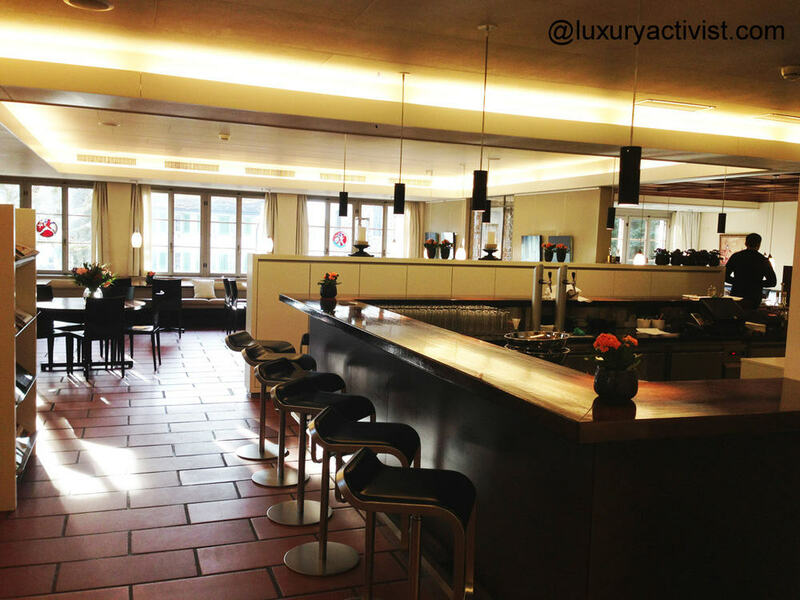 In this beautiful 4 stars Hotel you will discover a journey between Gastronomy and culture. Check it out. 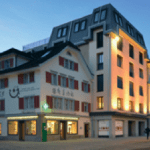 Located in the heart of Switzerland in the city of Schwyz, this amazing hotel deserves our admiration as it travelled through history and today is the witness of a great heritage. Since September 2008, the owners are Sepp & Ida Trütsch-Reichmuth. The first tracks about the Rössli in Schwyz take us to the 17th century when a great fire destroyed almost the entire city of schwyz, including the Gasthaus zum Rössli. 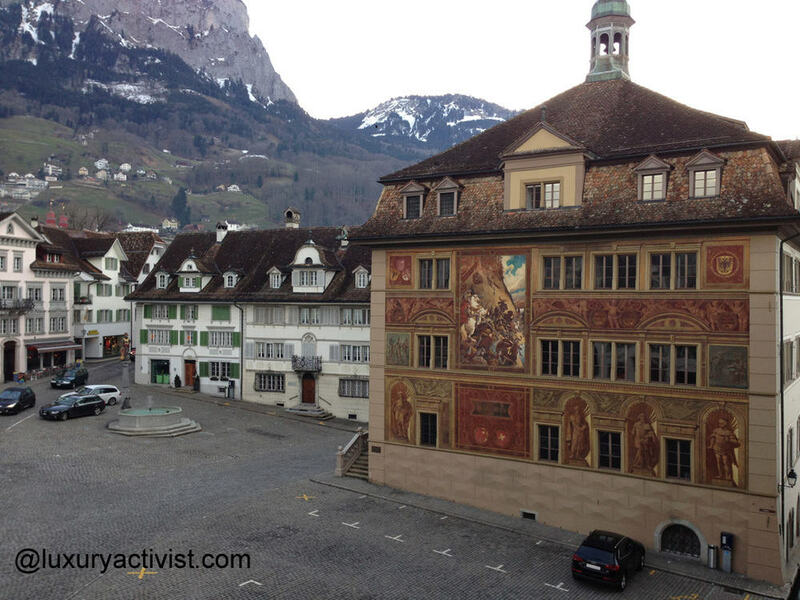 Rebuilt, it crossed the centuries under the possession of different rich families. It was also the place in which several prominent guests decided to stay like the German writer Johann Wolfgang Goethe and General Guisan. If you are traveling to Switzerland, you need to visit Schwyz with its lakes, mountains and typical villages. 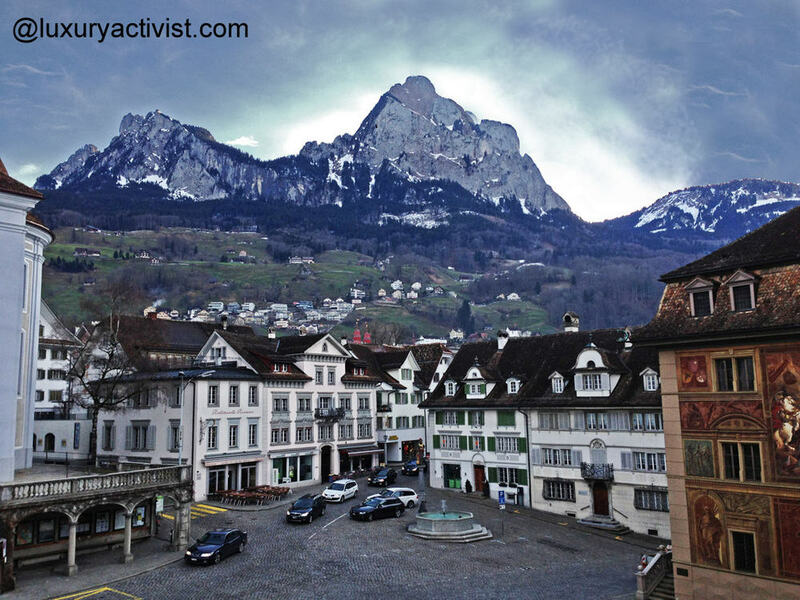 Schwyz is one of the original cantons that settled the birth of Switzerland as a country in 1291. Land of William Tell legend and also known as the Swiss knife valley, you can find many things to do in summer or winter. Since 2008, the renovation of the hotel gave a new future to this amazing heritage. 28 rooms, 4 deluxe suites decorated with taste and regional items like pictures. 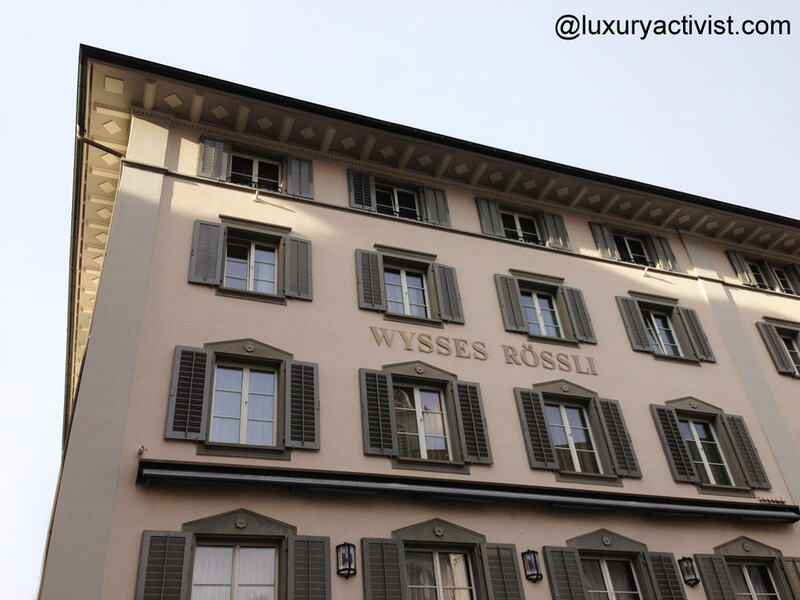 The Wysses Rössli is also know to be one of the best restaurants of Central Switzerland. The menu is very complete. The Chef gives priorities for seasonality and for local productions. Try the Chateaubriand for 2 or a exquisite Boeuf-Tartare. 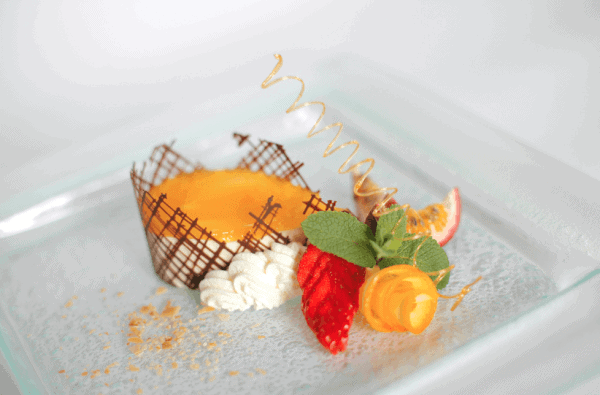 With an experienced Chef-Patissier in-house, your meals will always have a beautiful conclusion. The wine card is not tremendously big but every single wine was specifically chosen. 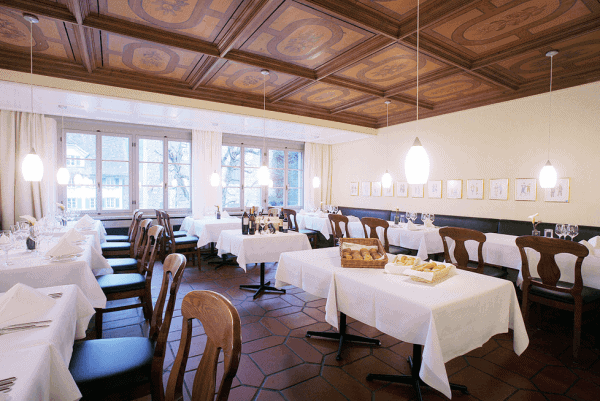 Several dining rooms are possible at the Wysses Rössli. 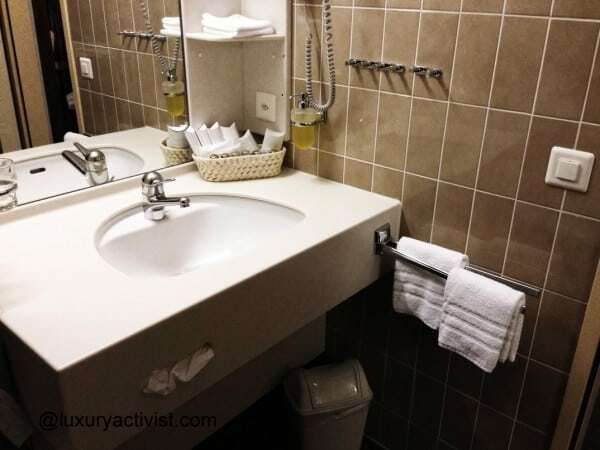 From modern and contemporary design ambiances to historical experiences. 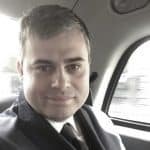 Depending on your motivation and on what you are looking for, the entire team there will help you achieve your aims for an evening, the weekend of even more days. 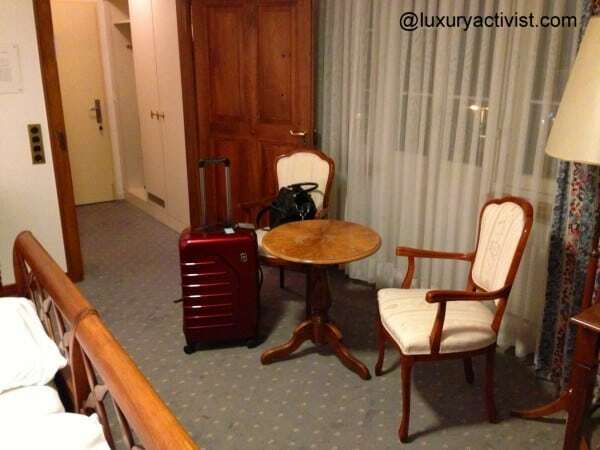 This week Luxuryactivist was able to try the Goethe Zimmer – deluxe room for a couple of days. 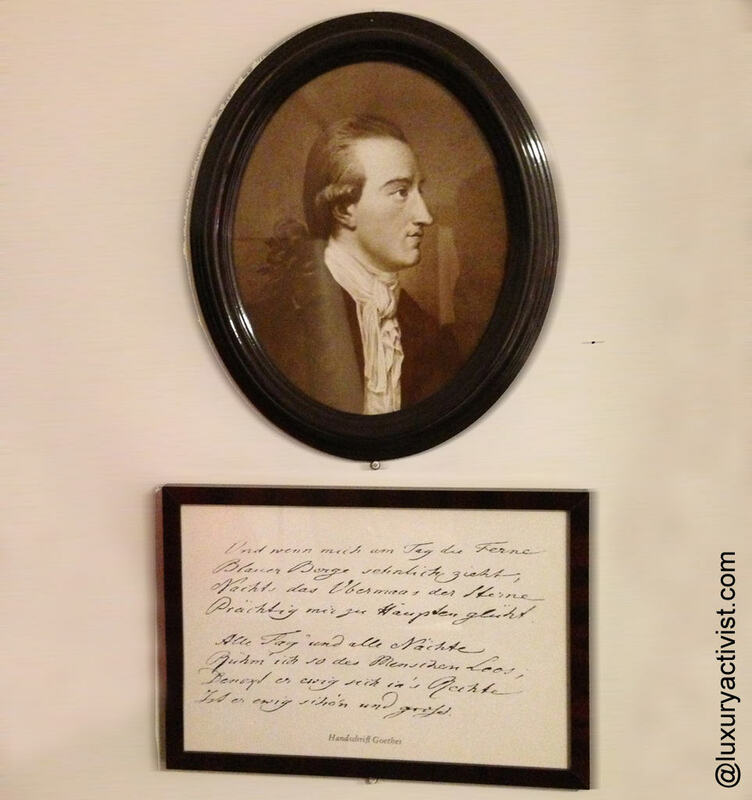 By sitting in that room, we had the feeling to meet in person Johann Wolfgang Goethe. 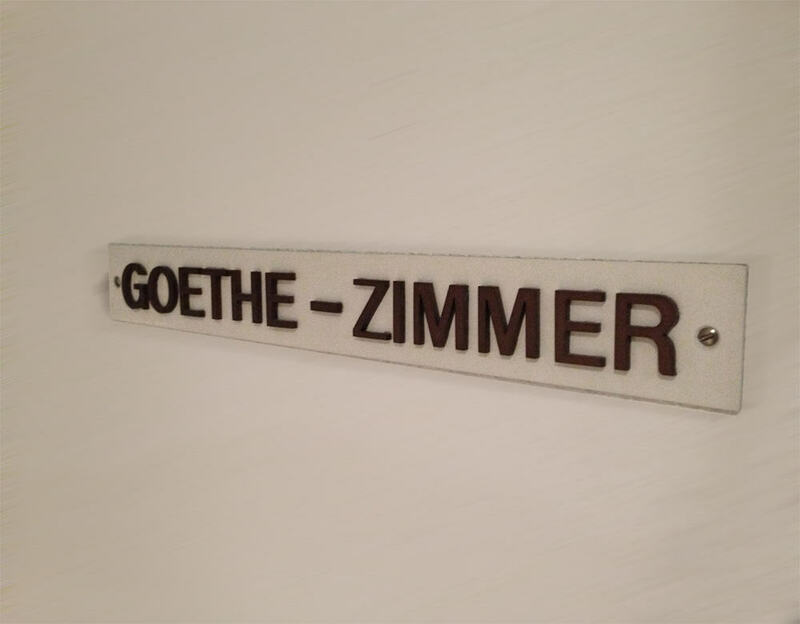 The entire suite is dedicated to the German writer. This gives to the suite a strong historical background but also places you into a nice mood. 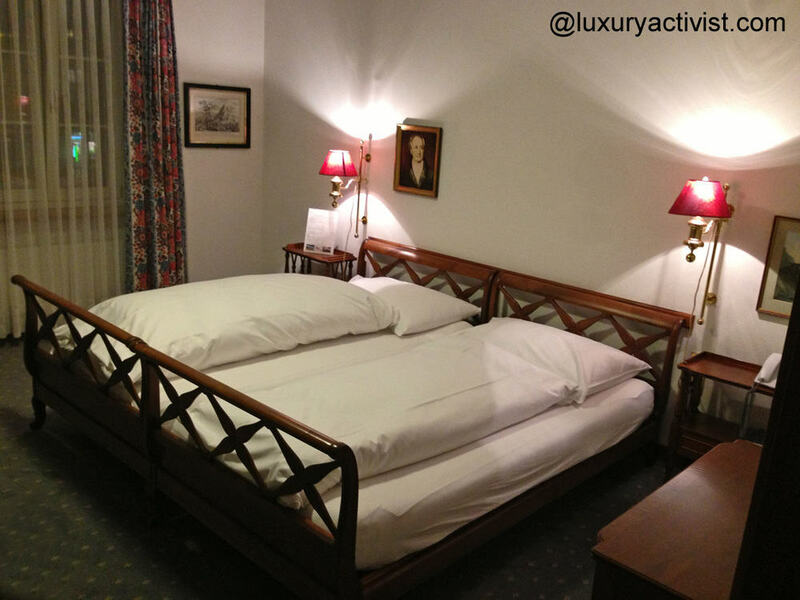 The Goethe deluxe room is located at the 3rd floor of the hotel and provides you not only a great view but also offers you an true experience. 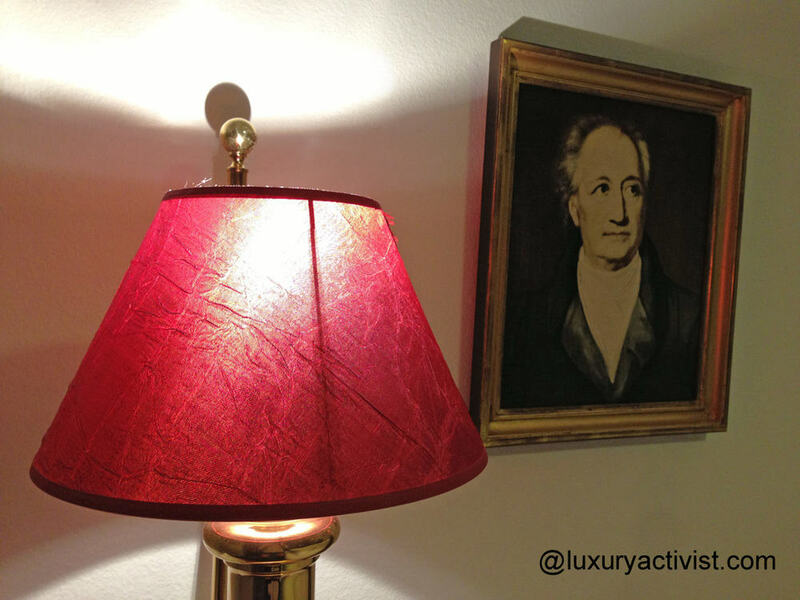 In honor of the journey that Goethe did in Schwyz, this room has amazing paintings and writing of Goethe. 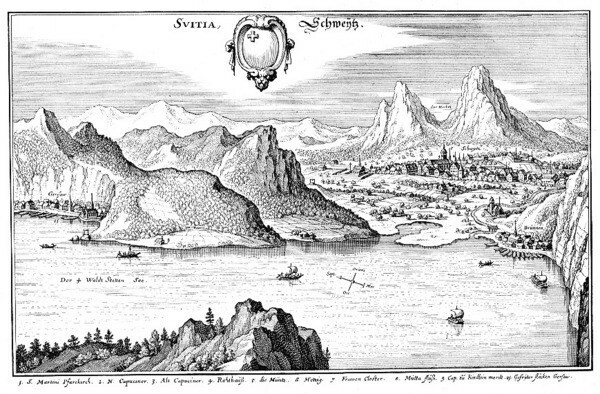 The 18th century and the 19th century brought many people to Mountains landscapes. For some people was because of medical reasons, others because living in the mountains or closer to Mountains was a idyllic life, completely translated into the Romantic trend at that time. The Goethe Zimmer at Wysses Rössli has all the comfort of a modern room with flat screen, mini-bar or free wifi internet connection. As the room is at the end of the corridor on one of the building corners, you are not bothered by the other customers. 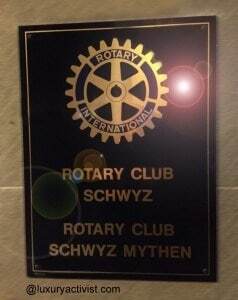 The Hotel is a 4 stars hotel member of several prestigious guides and associations like SwissGastro and The Rotary club. It shows how importance reference this hotel is. The ambiance in the hotel is very elegant but also very warm hearted. We feel at home. The team is friendly, very professional and respectful. Ms. Yvonne Schüpfer (Service chef) and Mr Thomas Räber (Hotel Director) run the day-to-day organization and activities on a high level of excellence. 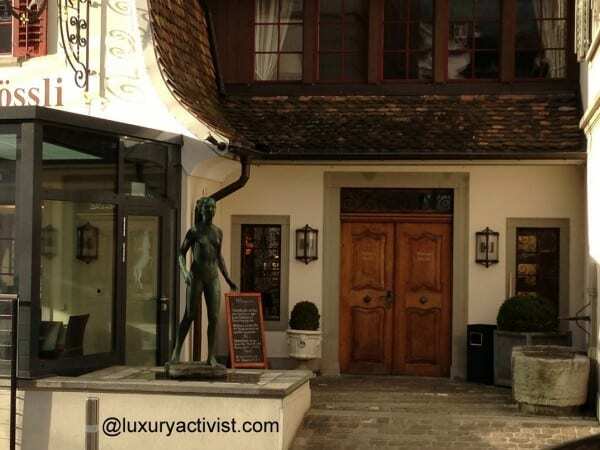 So if you have plans to visit Switzerland, This Hotel-Restaurant is one place you do not want to miss. They have many events and special evenings all year long. 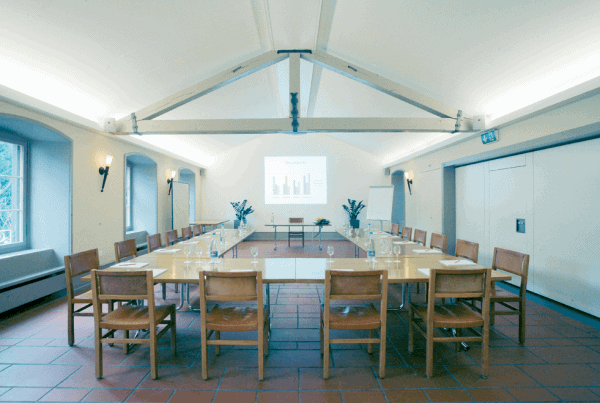 Also for companies, you can book your congress or strategic meeting at the hotel and use the business installations in this inspiring environment. 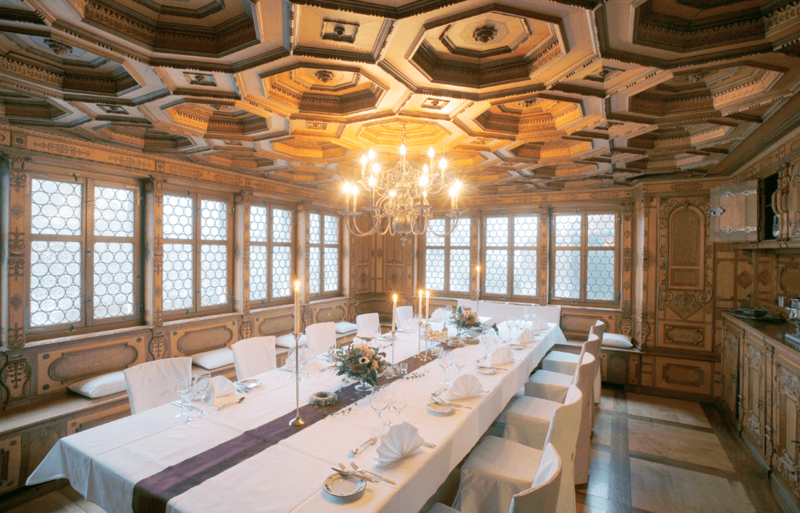 When history blends with gastronomy you get a true and unique lifestyle. Info sourced at the Wysses Rössli website, wikipedia and money museum. All content is copyrighted with no reproduction rights available.